Fernand Léger. Animated Landscape, 1924. 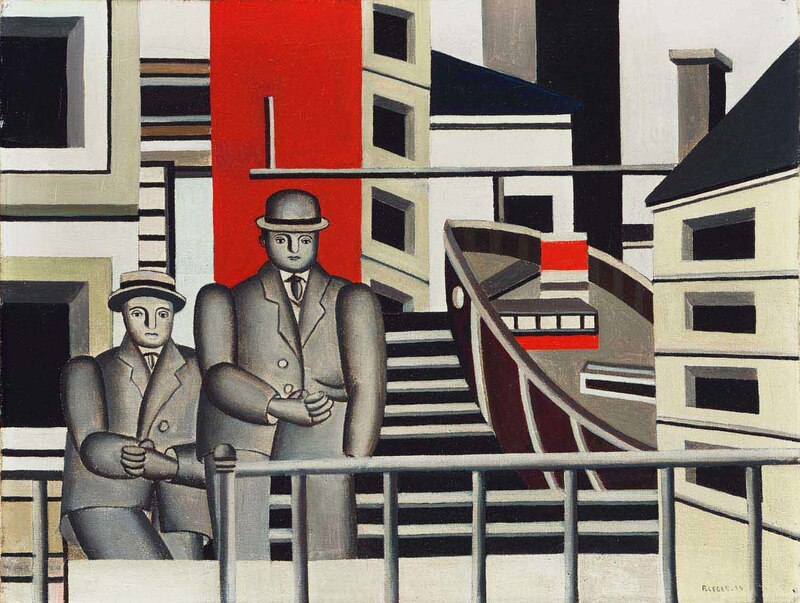 Cubist painters like Léger were fascinated by the geometric signs and competing signals of the modern city. In James Joyce’s great modernist novel Ulysses, the city of Dublin emerges as a complex multi-storied universe. Fifty years earlier, Dickens and Balzac created similar effects with London and Paris. In these great city novels, fiction mixes with reality, satire and social issues. Joyce departs from the 19th century model by unfolding his story in a single day and by using a variety of experimental prose techniques that draw attention to the act of writing. Influenced by Cubist collage, Ulysses resembles a modernist work of art. Modernism takes root in cities, where artists pushed for new ways of seeing. Cinema was at the forefront of this development. No film stretches the limits of perception more forcefully or imaginatively than Dziga Vertov’s The Man With a Movie Camera, 1929. The film bursts with the energy of tram cars, large machines, and crowds eager to get somewhere, do things, and be entertained. 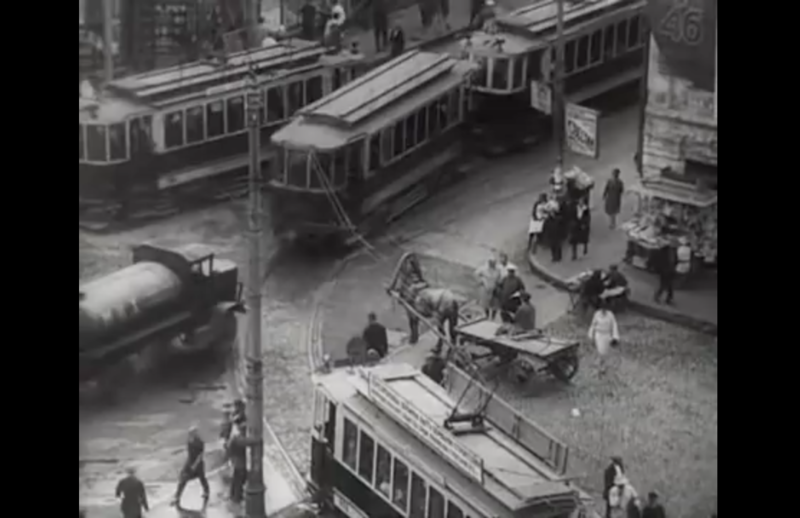 What’s more, Vertov’s film uses odd angles, quick cuts, and visual tricks. The filmmaker is only too pleased to reveal the secrets behind his mesmerizing effects by including “making of” shots of how the film was made. When critics and reviewers first saw Vertov’s film, they thought he was making impossible demands on the viewer. The editing was simply too fast, the variety of camera angles too bewildering, the leaps from one scene to another too disorienting. The film uses no titles to explain anything. No narrator describes the action. No voice-over makes an argument. No expert teaches a lesson. The city’s pace is unrelenting: people and their machines are shown as a dynamic network at work and play. And now all these tricks, jumps, speed editing and behind-the-scenes “how to” revelations have been fully absorbed into mainstream media. Just about any music video contains several of these “disorientations.” It is impossible to imagine a thriller, spy movie, or summer blockbuster without scenes of a bustling metropolis, without a bevy of multiple converging storylines, without information transmitting at dizzying speeds, without information networks seeming all-encompassing and inescapable. This is Vertov’s world. The Man with A Movie Camera shows how the film is made. 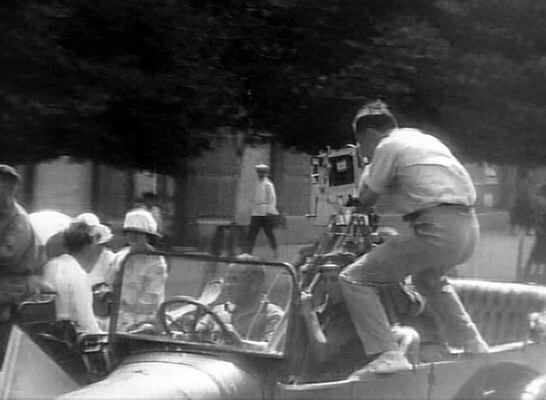 Here cameraman Mikhail Kaufman perches on the side of a moving car to get an exciting shot. In 2008, my wife and I spent a year in Berlin. Europe was vastly different from Canada: its food, housing, schools and public transport. No swiping of tickets, no turnstiles. The famous Ring line and U systems carried trains above and below ground to all corners of the city. My short film, Scratch Peck Fly, included some fun train shots, but its focus was on birds in the city. Like Vertov’s film, my short was equal parts documentary, travelog, and art film. It used no narrator, no voice-over. As far as I was concerned, Vertov was ground zero for the independent filmmaker who ventures into the world without script or budget. Gags, stunts, shooting from the hip in foreign cities, personal film diaries–it’s the very stuff of YouTube videos. Another appeal of these early city films is the use of humour to offset the aggrandizement of cities and machines. 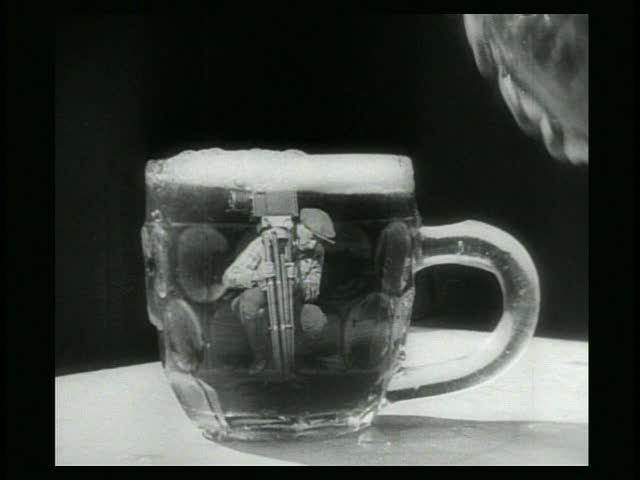 In The Man With a Movie Camera, a cameraman is shrunk to tiny size to set up a camera inside a glass of beer. Later in the film, a camera and tripod assemble themselves and walk out of the frame. Can a film make itself with no human intervention? In a Russian avant-garde film, they can. In Jean Vigo’s surrealist city film, À Propos de Nice, 1930, tourists are shown (candid-camera style) reading newspapers at outdoor cafés. Before long, a man drops his paper and falls asleep. An older gentleman nods off. A lady in furs is next to slip away. The whole city seems to have fallen asleep, all in public, in the middle of a day. These scenes are amusing, but also carry an undercurrent of social criticism: the idle rich are so idle they can barely stay awake. Koyaanisqatsi: Life Out of Balance, 1982, a two hour long American art film, follows in the great city film tradition. The filmmakers use no narration, just dazzling camera work and the sort of optical effects you might see at a pavilion in a world’s fair to convey a sense of industry and urbanization overtaking the planet. A social critique is intended. But as vlogger Kyle Kallgren argues in his essay on the film, every shot of Koyaanisqatsi has either been used before or since to underscore the very opposite position, namely that cities are fast, fun and impossible to resist. One cannot get too righteous or indignant over the pace of progress, the disasters of progress, the uncontrollable excitement of living in an environment that changes more rapidly than we can possibly comprehend. 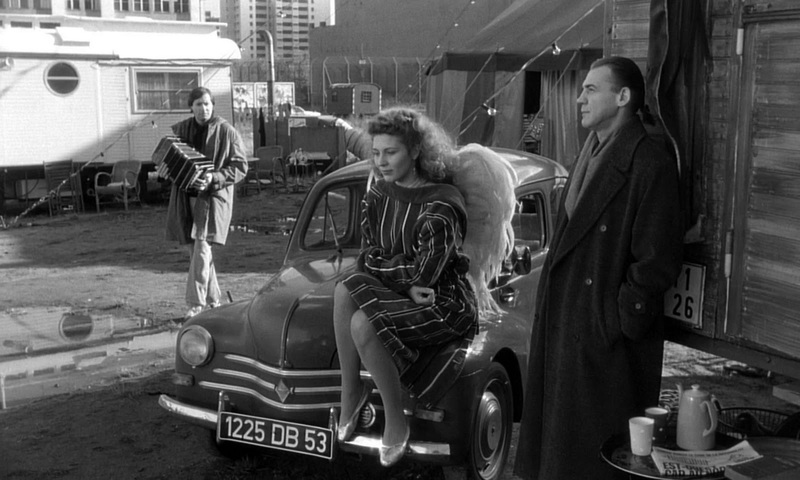 In Wings of Desire, 1987, an angel (Bruno Gatz) falls in love with a trapeze artist (Solveig Dommartin). She cannot see or hear him, but can only sense his presence. Five years later a German film appeared, Wings of Desire, (Der Himmel uber Berlin)1987, directed by Wim Wenders, written by playwright Peter Handke, and starring, alongside a brilliant cast, America’s favourite detective, Peter Falk and Australian rocker Nick Cave. The film features a group of mind reading angels who wander the streets of Berlin eavesdropping on everyday scenes, but powerless to avert human tragedy. The angels are simply there to observe, to comfort, to record and empathize. Like the human characters, the angels are engulfed by the city and merge into its multitude of overlapping stories. After years of observation, some of these city-dwelling angels choose to become human. By choosing earth over heaven, human problems over divine equanimity, human love over spiritual compassion, the angels cross a line from observer to participant that many of us would do well to follow. NV on her new film, Language Lessons. Remix, collage, mash-up. Retelling stories. People love stories to the point where they do something terrible to stories. They turn them into products. Commercial stories tend to be glossy and predictable, which to my mind is the opposite of what a story is. A story should be a little messy, and keep changing, growing, surprising. I found the birth footage in an anthropological film. I thought what if this were framed in a different way? 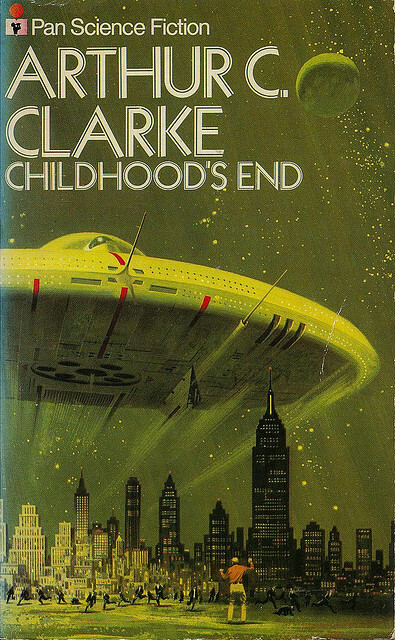 What if we saw this birth not as social studies, but as science fiction? That’s why I show it as a film within a film, following footage from Tarkovsky’s Solaris. A language lesson from Michel Thomas is used throughout the film. To me, language is the ultimate mash-up. I love Michel Thomas’s approach. His tapes aren’t language drills so much as seductions and hypnotisms. You listen to foreign sounds and you absorb without even realizing it. Looking at art is a lot like learning a foreign language. You feel on the outside of something bewildering, something that communicates but the only way to get it is through habit and immersion. There’s something absurd about the way the voice-over of the language lesson interacts with the images. It’s the loneliness of technology. I tried to imagine what if a person listening to a language lesson over and over began to fixate on the voice as if it were speaking to her personally, as if it were giving her advice on how to live her life. Magical thinking. William Gibson calls it apophenia or faulty pattern recognition. 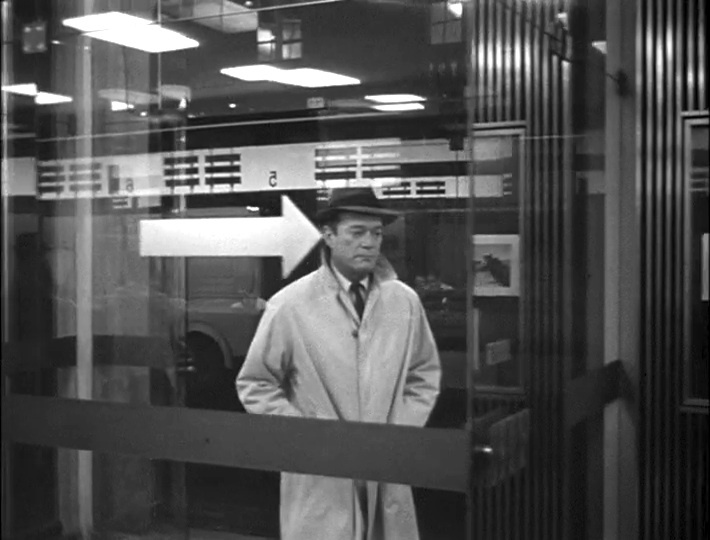 The film was partly inspired by Gibson’s novel Pattern Recognition. 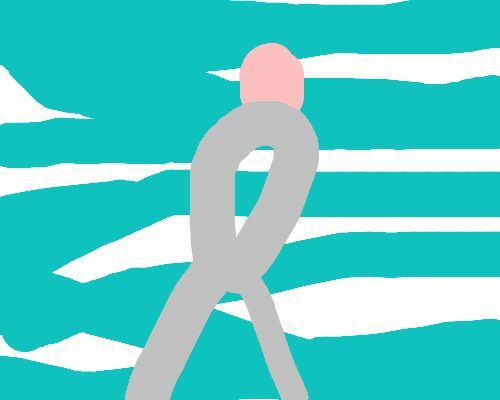 The challenge I set myself is to try to merge drama, documentary and animation footage. To see them not as separate fields, but as interacting forces. Drama, believability, imagination. 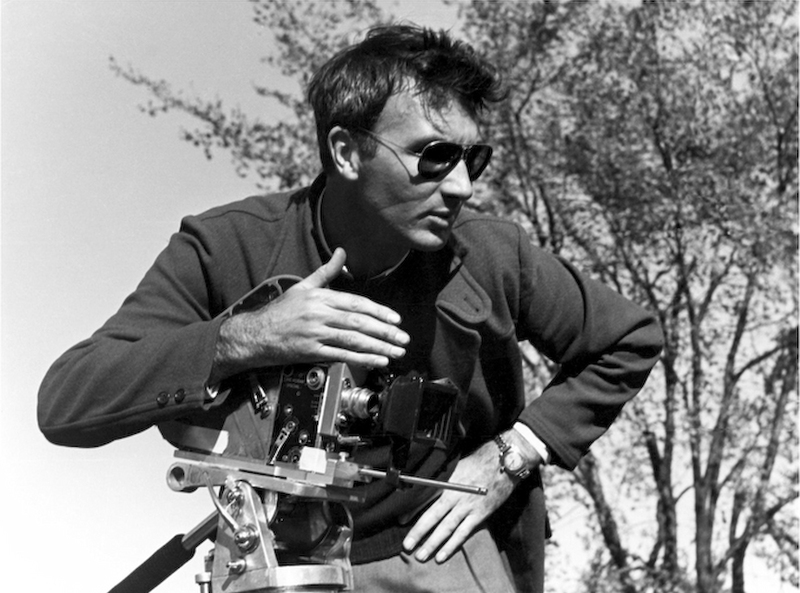 Norman McLaren (1914-1987) is a pioneer film animator, famous for drawing both picture and soundtrack directly on film and for mixing together live action with animated effects. 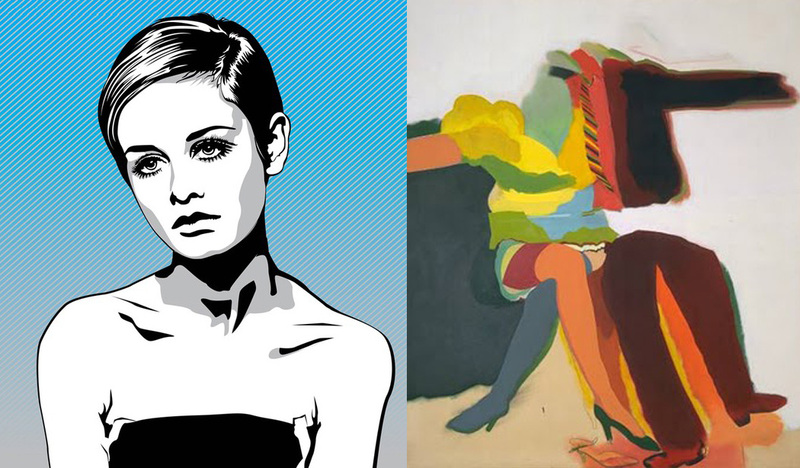 His work is experimental, yet conveys a remarkable sense of charm, humour and popular appeal. Like his mentor John Grierson, McLaren was born in Stirling, Scotland. The son of an interior decorator, McLaren studied at the Glasgow School of Art from 1932 to 1937, but did not graduate. He was absorbed by his early film experiments and left Scotland to work for the film unit of the General Post Office in London. During WW II, Grierson convinced McLaren to come to Canada to work for the National Film Board, promising the young artist he would not have to engage in war propaganda. McLaren quickly settled into the NFB, establishing an animation department in 1941 and creating such ingenious and diverse works as Neighbours, 1952 (Academy Award winner); Blinkity Blank, 1955 (winner of Palme d’or, Cannes) ; Le Merle, 1958; Canon, 1965; Pas de Deux, 1965; and the five-part instructional film, Animated Motion, 1976-8. McLaren used an extreme economy of means to achieve sophisticated effects that have a powerful visceral effect on viewers. His work brings together interests in abstract imagery, drawing games, folklore, music, performance and education. This above clip is a mash-up of two works, Opening Speech, 1961, directed by Norman McLaren, and A Chairy Tale, 1957, directed by Claude Jutra and McLaren. McLaren and Jutra are two of Canada’s greatest film directors, and in this sequence the directors perform in their own films. Both use the stop motion technique to explore the theme of a man struggling with an uncooperative object. This mash-up is meant as a tribute to the charm and inventiveness of two great talents, edited by contemporary artist NV. A new soundtrack featuring the Charlie Parker Quintet has been added. The music dates from the period when the films were made, and, like the films, combines innovation with entertainment. In 1961, McLaren made Opening Speech: Norman McLaren, putting his name in the title, as well as starring in the film. The project moves away from McLaren’s abstract painting-inspired experiments (Dots, Begone Dull Care) toward performance-based, multi-media work that is also an important trend in the Fine Arts at this time. 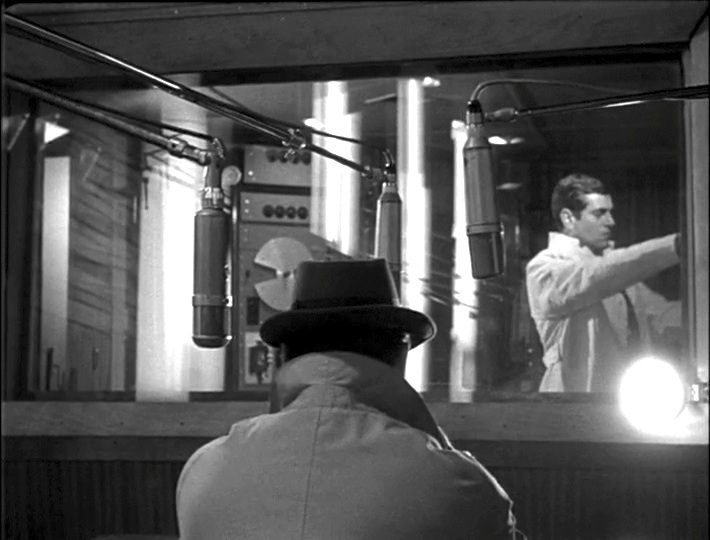 In the film, McLaren commands a large empty stage, from which he is about to make a formal speech, but the filmmaker becomes lost in his notes, the first of many difficulties for the reluctant public speaker. This reflects a famous anecdote McLaren tells about presenting a script and storyboard to producer Alberto Cavalcanti at the General Post Office Film Unit in London, only to have Cavalcanti tear it up with the advice to, “Never write down everything precisely in advance.” (Derek Elley, “Rhythm & Truths,” Films & Filming, June 1974). If words on paper do not make a film, then what does? Sound and image, performance and technology. In McLaren’s film, the performance and technology are clearly at odds as the microphone quickly develops a mind of its own. The sound goes out of sync with the picture. The microphone then rebels in other ways. The viewer is reminded that film is a form of technology, but technology, like inspiration or creativity, can never be fully controlled. There is another consequence of this rebellious microphone: a potentially stuffy speech is turned into a humorous game. 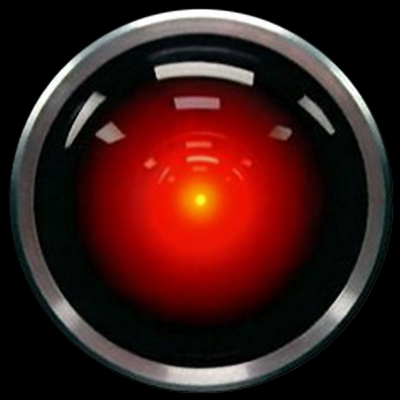 It might be helpful here to compare the microphone in Opening Speech to HAL, the computer in 2001: A Space Odyssey, made by Stanley Kubrick seven years later. Both films are about machines that function like living entities with their own personalities and agendas. 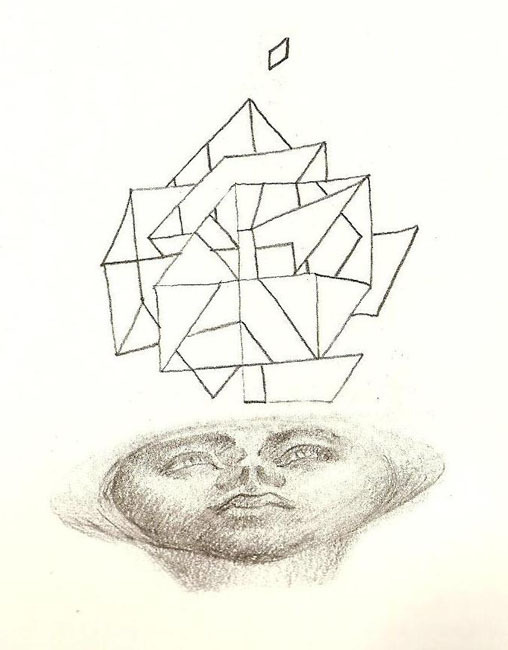 But if the machines have minds of their own, the minds are out-of-harmony, spiteful, devious. In both films, a malfunction occurs at the worst possible time. The errant microphone disrupts a public statement by a famous artist, drawing attention away from the artist onto itself. The microphone’s antics render the artist mute, and turns the honor of the moment into a public embarrassment. It hijacks the event, the opening of a film festival, just as HAL hijacks the space mission in 2001. 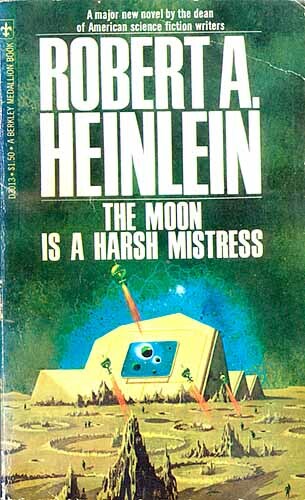 In order for the space mission and the film festival to get back on track, the obstructing machines must be murdered. Once this murder occurs, both films then unveil a screen and a pre-recorded message—on film—appears and restores order. Paranoia involves a projection of fears, mixed with feelings of self-love and self-hate. These are the two facets of paranoia remarked on by Freud, “self-aggrandisement” and “persecution by an imaginary enemy.” (The Schreber Case, 1911) Elements of aggrandisement and persecution are present in Opening Speech. The public speech inflates the speaker’s ego and the rebellious microphone punishes him without apparent cause. Since no audience is ever seen, McLaren’s stage antics become somewhat imaginary. It is as if he were performing for himself or as if the fame and frustration of the moment are all in his head. 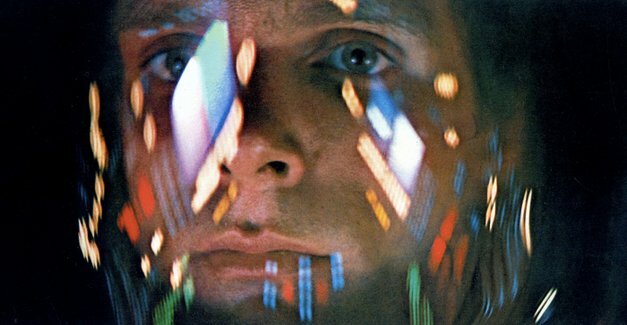 In 2001: A Space Odssey, 1968, actor Keir Dullea "murders" the computer HAL. In contrast, it is not the astronaut but the machine who becomes paranoid in 2001: A Space Odyssey. The machine’s fears reflect a personality weakness in an otherwise seemingly flawless system. 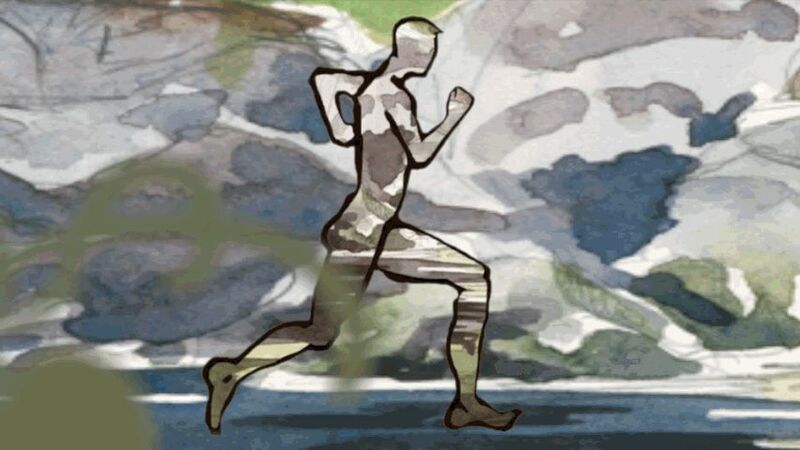 This weakness makes the machine appear psychotic, but in a human-like way, as it faces the prospect of being deactivated and removed from the mission. Opening Speech could be described as a meta-discourse on film. 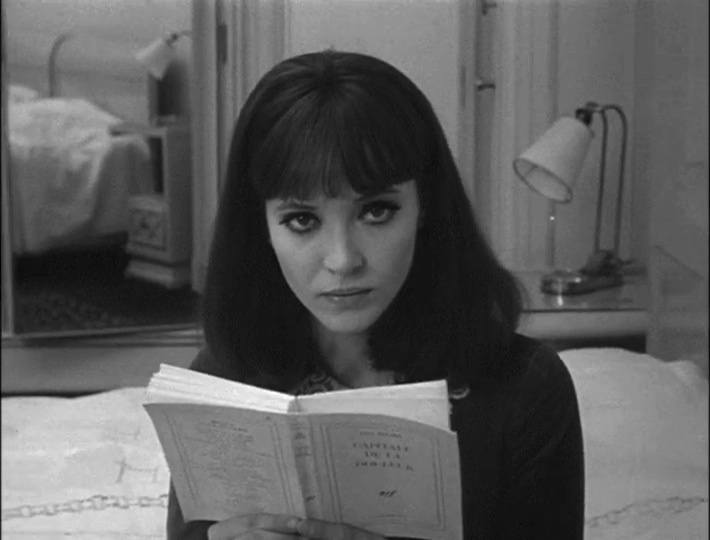 It demonstrates how cinema manipulates time and space, as well as disrupting our sense of reality. Opening Speech ends by directly quoting two famous silent films, Sherlock, Jr. by Buster Keaton and Entr’acte by René Clair, both made in 1924. In the scene in question, McLaren jumps into the cinema screen, then steps out again, shattering the words, “The End.” In these film, figures move forwards and backwards in time to disrupt the viewer’s sense of reality. All three films raise the question: is cinema real? And, if not, what is reality? 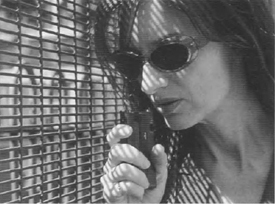 Janet Cardiff. 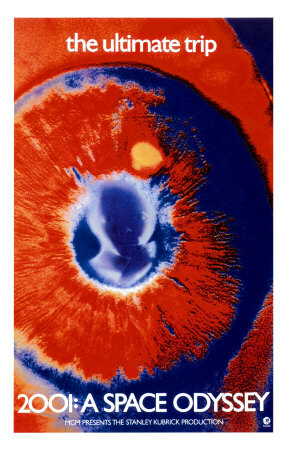 The Missing Voice, 1999. Audio walk, commissioned by Artangel, London. Opening Speech draws heavily on vaudeville, but it also looks ahead to key moments in Canadian visual art. In one of artist Janet Cardiff’s best known audio installations, The Missing Voice, 1999, the recorded audio guide accompanies the viewer through a tour of Whitechapel Library in London, commenting on work within the space. However, the guide begins making unpredictable remarks that lead the viewer away from the intended experience to other points of interest, shattering accepted conventions in an unnerving about-face generated by a willful mechanical device.